The Swirl candle holder by Tom Dixon is made of marble powder and is characterized by its robust, high-quality appearance. The design of the candle holder is characterized by geometric shapes with defined edges. 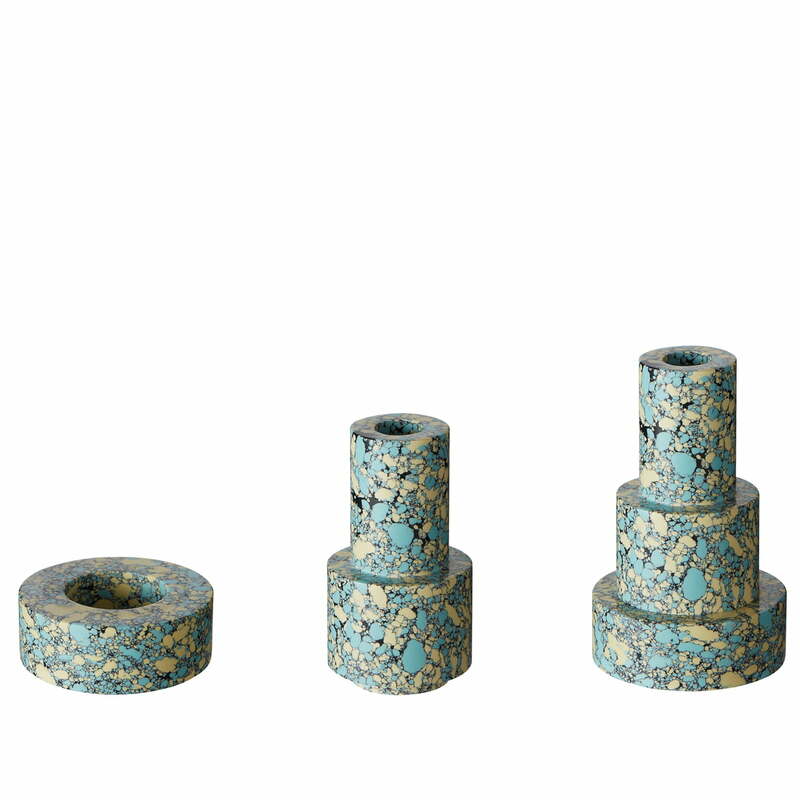 The unique manufacturing process consists of recycling powdery residues from the marble industry and mixing them with pigments and resin to form material blocks. These can then be sawn, cut and shaped to their final shape on a lathe. The object appears almost sculptural and is therefore a wonderful eye-catcher in the ambience. On the sideboard, the window sill or the side table, the stylish holder finds a place and can be set in scene with other decorative items. The Swirl candle holder is available in colourful and black and white versions. 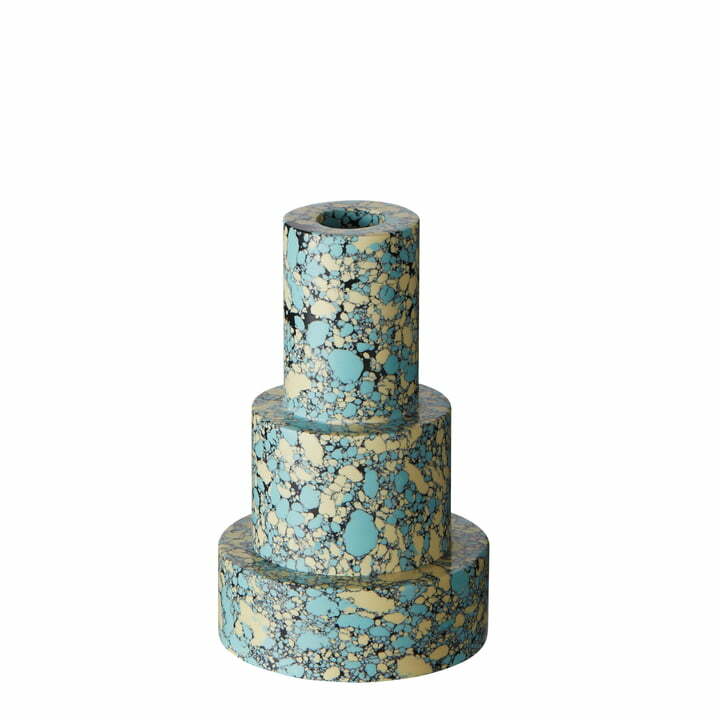 What both variants have in common is a contrasting, strong marbling, which can also be optimally combined with each other. The candle holder is suitable for all common rod candles. 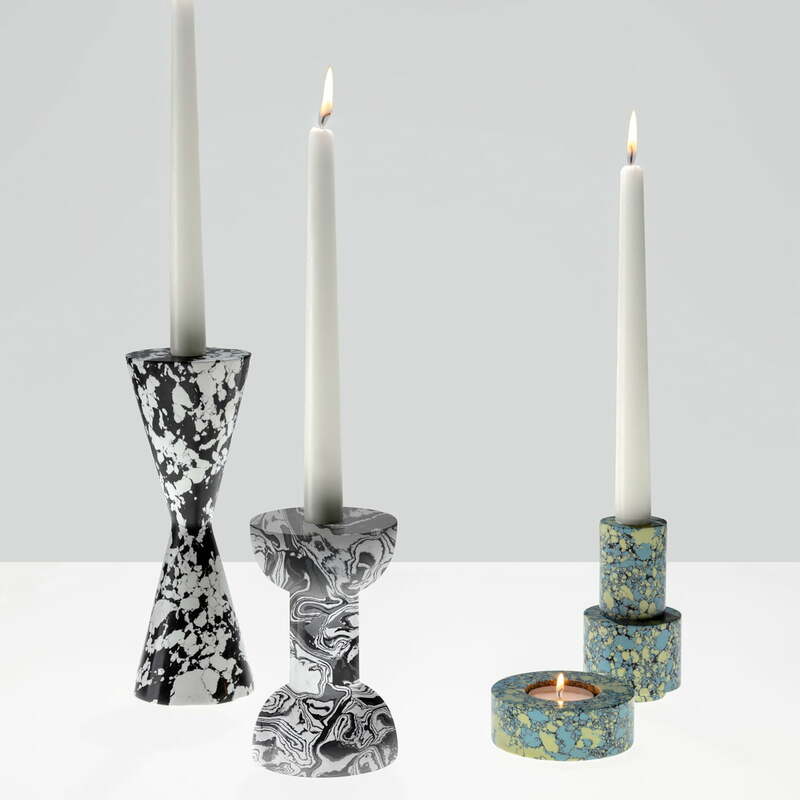 Swirl Stepped candle holder by Tom Dixon in single view. The candle holder can be easily disassembled so that the elements can also be used individually. Swirl candle holder by Tom Dixon in the ambience view. The Swirl candle holder is available in colourful and black and white versions. What both variants have in common is a contrasting, strong marbling, which can also be optimally combined with each other.